Katawán, Satti includes Filipino artists Tad Ermitaño and Jing Garcia from the group Children of Cathode Ray. They have worked for 15 years in experimental sound and the underground video scene and collaborated on the sound score for this show. 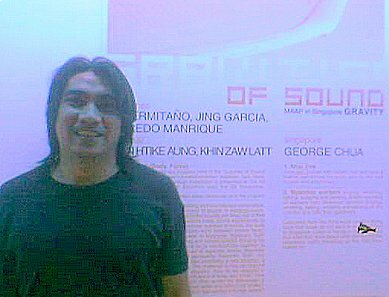 Alfredo Manrique, a famous Filipino social realist, is a painter and printmaker who presented his first exhibition of computer prints in 1998.